The Citrus Scent Wedding Cake is beautiful. This two tiered, classically designed wedding cake is perfect for every wedding. 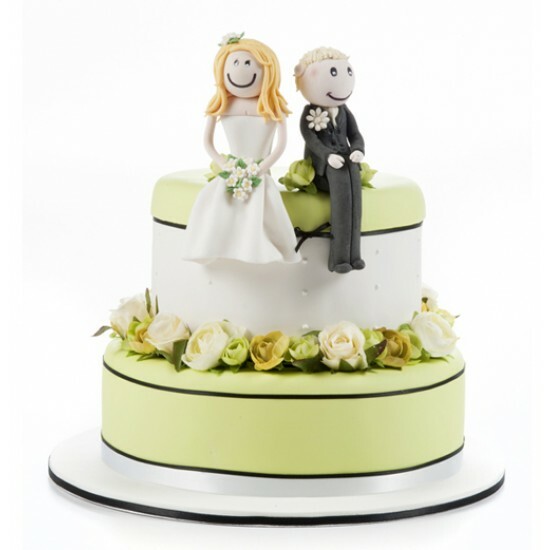 A Bride & Groom, made from icing, sit on top of the cake. The Citrus Scent Wedding Cake is beautiful. This two tiered, classically designed wedding cake is perfect for every wedding. Each tier is topped with stunning edible roses, with a gorgeous citrus coloured icing as a backdrop. On top of the cake, sits a happily married couple, ready to share their love and best wishes with you!